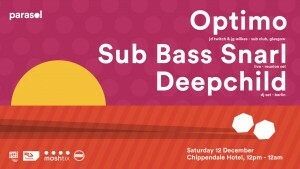 We’re back and supporting Optimo at the Chippendale Hotel on December 12 thanks to HaHa Industries. We last played with Optimo back in 2008 so expect some new surprises. Deepchild is also on the bill – someone who we haven’t appeared with since the early 2000s!